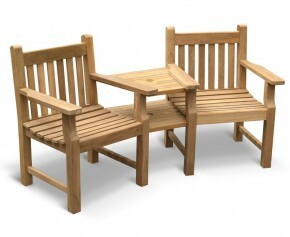 Our teak garden love seats are a charming choice of garden furniture. 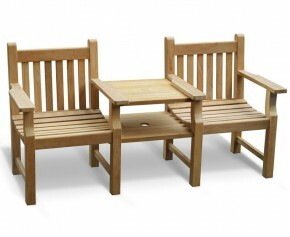 Made out of the finest grade-A teak, these tete a tete benches are extremely durable and can remain outdoors all year round with minimal maintenance required. With their combination of comfort and style, our love benches will be a perfect addition to any outdoor space and will provide you with fruitful use and pleasure for years to come. 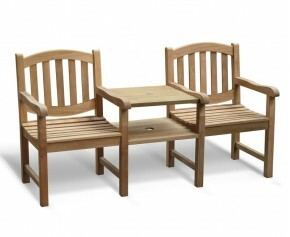 Combining the benefits of style and comfort, this beautifully crafted Clivedon teak garden companion seat otherwise known as wooden garden love seat or tete a tete bench adds a touch of sophistication and elegance to any outdoor setting. Expertly crafted to the highest spec, this graceful Ascot teak garden companion seat bench otherwise known as a garden tete a tete bench or jack and jill seat adds a touch of elegance and sophistication to any outdoor setting. Offering the ultimate in style and quality, this graceful teak garden companion seat also known as a garden love bench, tete a tete bench or Jack and Jill Bench adds a touch of elegance and grace to any discerning home and is sure to leave a lasting impression on visitors. A garden favourite, this Ascot vista teak companion seat offers a wonderful combination of contemporary style and traditional material and can be easily incorporated into any patio or garden setting for outdoor relaxation at its best. 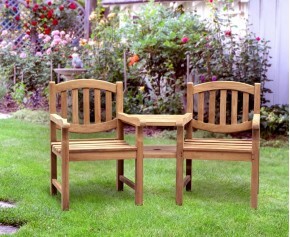 Expertly manufactured in plantation grown, genuine Grade-A teak, this great value teak companion seat has been built to last. 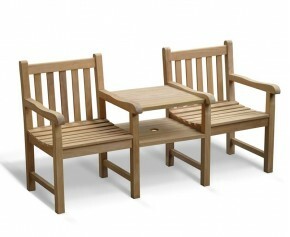 This beautifully designed Taverners teak garden companion seat otherwise known as a Jack and Jill seat, tete a tete bench or garden love bench not only offers quality and style but has been manufactured in sustainably sourced A-grade teak to ensure durability and aesthetic appeal for years to come. This beautifully hand crafted wooden teak garden love seat otherwise known as a garden love bench adds a touch of sophistication and elegance to any outdoor space. Expertly constructed in genuine Grade-A teak Tectona grandis, this stylish teak garden love seat makes for the perfect anniversary, wedding, and retirement gift. 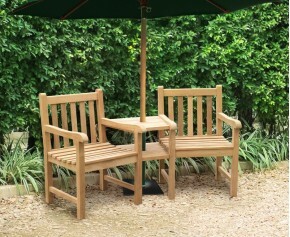 This beautifully crafted Taverners vista teak garden companion seat otherwise known as a Jack and Jill seat, tete a tete bench or garden love bench not only offers quality and style but has been manufactured in plantation grown, grade-A teak for long life and aesthetic appeal. This Princeton teak companion bench features an intricate, decorative backrest, creating a stunning focal point for both private and public settings. 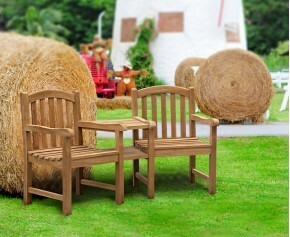 This Jack and Jill seat or tête-à-tête chair makes an ideal gift for weddings, anniversaries, retirements and so on. 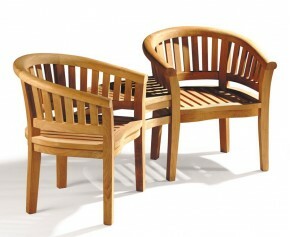 Ideal as a gift, there is no better way to enjoy garden relaxation with a loved one than with our teak garden love seats. We offer a wide range of tete a tete benches, from the decorative Princeton teak garden love seats to the wonderfully modern love benches, so you are sure to find the perfect bench to suit you.